Those making a New Year’s resolution to eat more hummus and eat more vegetables have just been given a gift from Tribe. The fast-growing hummus producer has launched its latest Limited Batch flavor, Ranch Hummus, available now at grocery stores nationwide. The perfect dipping partner for all vegetables and salty snacks, Tribe’s new Ranch Hummus blends the popular taste of ranch with the creamy texture of traditional hummus to create a smooth, dairy-free dip that is the perfect complement to any baby carrot, celery stalk, broccoli top or pita chip. Ranch is far and away the best-selling salad dressing, dwarfing the second-place contender, blue cheese, by a 2:1 margin. 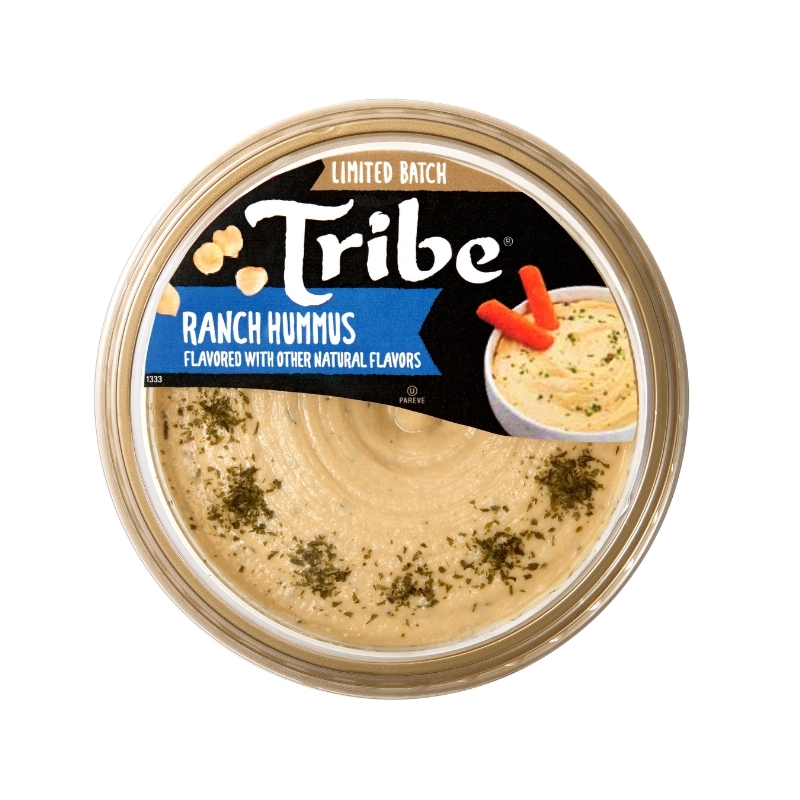 Tribe has been able to capture the creamy, herb-filled Ranch flavor in a dip that does not include any of the high-calorie dairy products traditionally found in ranch dressing, yet the hummus still features the rich buttermilk type flavor people have come to love. Tribe Ranch is the latest addition to the brand’s Limited Batch collection. The new flavor will be available on shelves nationwide throughout the spring – and possibly longer given its reception by hummus lovers. The eight-ounce tub has a suggested retail price of $3.49.